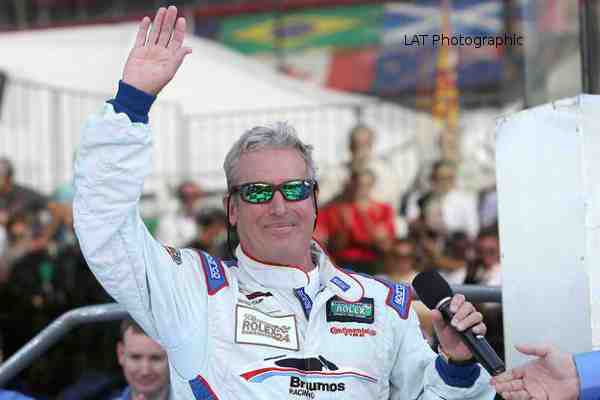 Race-car driver Hurley Haywood has come out gay. The 69-year-old Haywood has won multiple events, including five titles at the Rolex 24 at Daytona, three at the 24 Hours of Le Mans and two at the 12 Hours of Sebring. Haywood talks about his sexuality for the first time publicly in his upcoming memoir Hurley: From the Beginning. A documentary is also in the works. Haywood told Autoweek about an interview he gave to a high school student. Halfway through the interview, the young man, who was gay and knew Haywood was gay, told him he had suicidal thoughts. “He said, 'I have been bullied my entire life. Every morning when I wake up, I think about suicide. I have absolutely no respect for myself,'” Haywood said. Haywood said he heard from the young man's mother about a year and a half later. She credited him with saving her son's life. “Hearing from that mother – well it was very emotional. And I thought, if my voice is strong enough to help one kid, it might help two kids, or five, or a hundred,” Haywood said. Haywood's sexuality was an open secret in the racing world. “The racing community has been extremely supportive. I've never not gotten a ride because I was gay. But what the outside world will think about it? I guess we'll see,” Haywood said.